Tor Bay is the next bay west from Three Cliffs Bay, separated by the towering Great Tor (headland to the east). 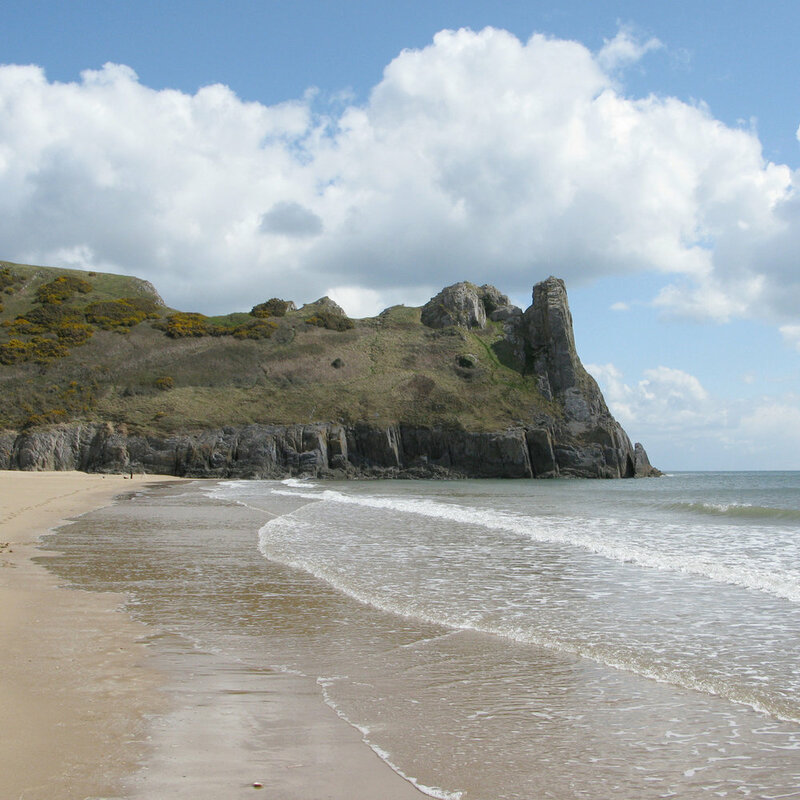 It is accessible on foot, about a 20 minute walk or so from Penmaen Village, where there is limited car-parking. If you want to get away from the crowds then this is an ideal location. There are no facilities close by, but there is a small shop at Parkmill, where you can purchase drinks and sandwiches. It is possible to walk from Parkmill via Three Cliffs, but you will need to allow an hour for this. 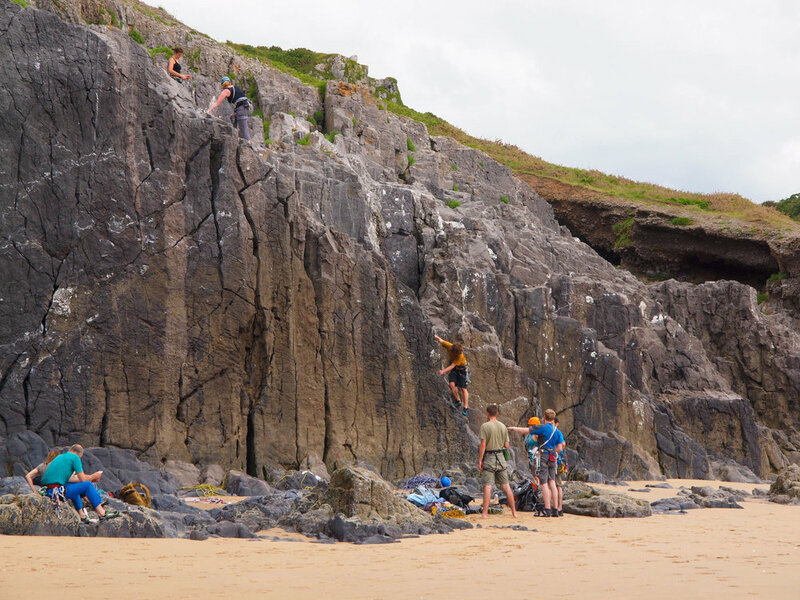 If you choose the Three Cliffs route then you will probably need to climb the path on to the headland that will take you to the Great Tor. 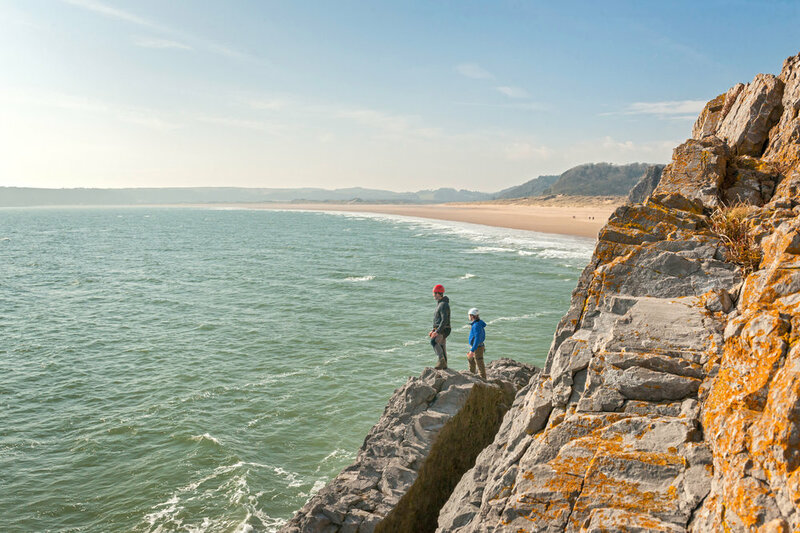 Walk out onto Great Tor for spectacular views over Three Cliffs Bay to the east, the Bristol Channel to Devon, south, and Oxwich Bay to the west. A path leads down through the dunes from the cliff top. Swiming is safe. WARNING: There is no Lifeguard patrol or phone on this beach.